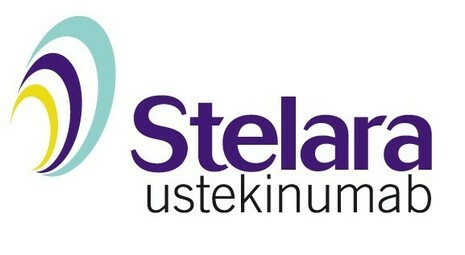 STELARA™ is a prescription medicine approved to treat adults 18 years and older with moderate or severe psoriasis that involves large areas or many areas of their body, who may benefit from taking injections or pills (systemic therapy) or phototherapy (treatment using ultraviolet light alone or with pills). STELARA™ is a psoriasis treatment that targets your body’s immune system by inhibiting the action of IL-12 and IL-23, two proteins that may be involved in plaque psoriasis. Treatment with STELARA™ can help provide relief from the symptoms associated with psoriatic plaques, such as plaque thickness, scaling and redness. Learn more about how STELARA™ works. The estimated 7.5 million Americans suffering from psoriasis often have to tolerate long-term treatment that may be only moderately effective. 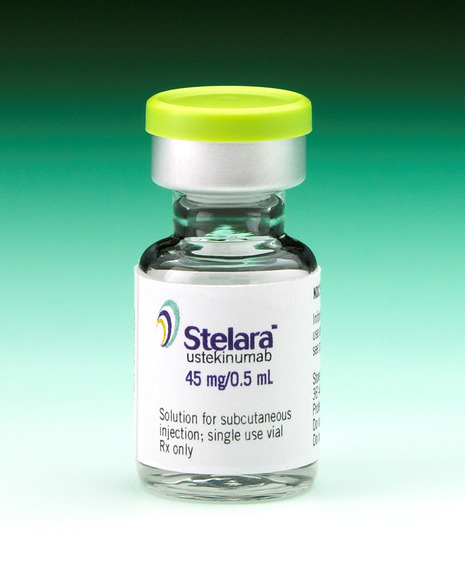 Now, a new drug called ustekinumab (Stelara) appears to be more effective than the old standby, etanercept (Enbrel), according to the results of a head-to-head comparison sponsored by the maker of Stelara. "Ustekinumab is a more effective and faster acting therapy for psoriasis than the current biologic market leader for this condition," said lead researcher Dr. Christopher E.M. Griffiths, a professor of dermatology at the University of Manchester in England. Enbrel and Stelara are biologic agents, which work by blocking proteins produced in the body. Enbrel blocks tumor necrosis factor alpha, while Stelara inhibits interleukin-12 and interleukin-23. Stelara (ustekinumab) has been approved by the U.S. Food and Drug Administration for adults with moderate-to-severe plaque psoriasis. The immune system disorder is characterized by the rapid overproduction of skin cells, which leads to red, scaly patches of inflamed skin. Some six million people in the United States have plaque psoriasis, the FDA said in a news release. Stelara is a laboratory-produced monoclonal antibody that mimics the body's own antibodies. It blocks the action of two proteins that contribute to the overproduction of skin cells, the agency said. In some psoriasis patients, biologics gradually (and sometimes suddenly) stop working. Stelara’s unique mechanism of action makes it a good alternative for these patients, as switching to another biologic is often successful in such cases. Another major difference between Stelara and older biologics is that the drug needs to be injected less frequently. Patients on Stelara receive a pair of initial shots four weeks apart, then an additional shot every 12 weeks. Other biologics are given as often as every other week, weekly, or twice a week.